A brand new addition to the Tri-County family, Tri-County Moving was the next logical step for the growth and expansion of our business. We have been moving and delivering furniture now for 20 years so naturally the next step was to start a insured moving company as a way to utilize our labor, skills, and services to their maximum potential. Tri-County Office Furniture has been owned and operated by the Dippolito family since 1998. 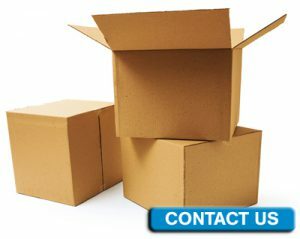 During that time we have accumulated the knowledge, the necessary equipment, and the skilled laborers to make us a top of the line moving company ready to serve your every need during the stressful process of relocating. Whether you’re looking to move across the country or across the street, you need a mover you can count on to transport your belongings safely and efficiently. For Mt. Vernon, NY residents, the moving team to trust is Tri-County Moving. Our experience in the moving industry has taught us that nothing is more important than customer satisfaction, and we’ll work our hardest to ensure that you come away pleased following your move. Don’t trust your belongings to just anyone. Rely on Tri-County Moving for a hassle-free move. To speak to a mover from our team or to schedule an on-site estimate, call us today.